It's tough out there in the wastes. There's the harsh heat, radiation, mutated monstrosities, and roving gangs. 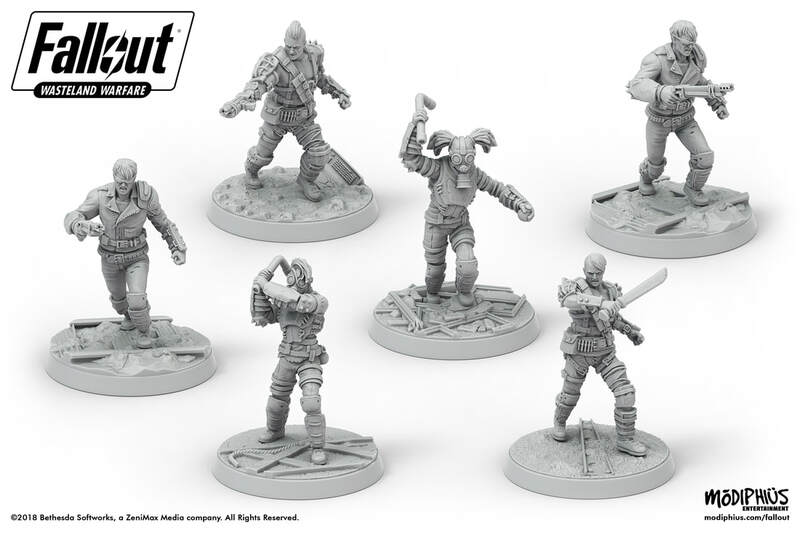 In this preview for Fallout: Wasteland Warfare, we get a look at once such gang, the Raiders. They're coming in Wave 2 of the game, and Modiphius is showing off their minis, as well as some terrain and letting us know a bit about their play style. 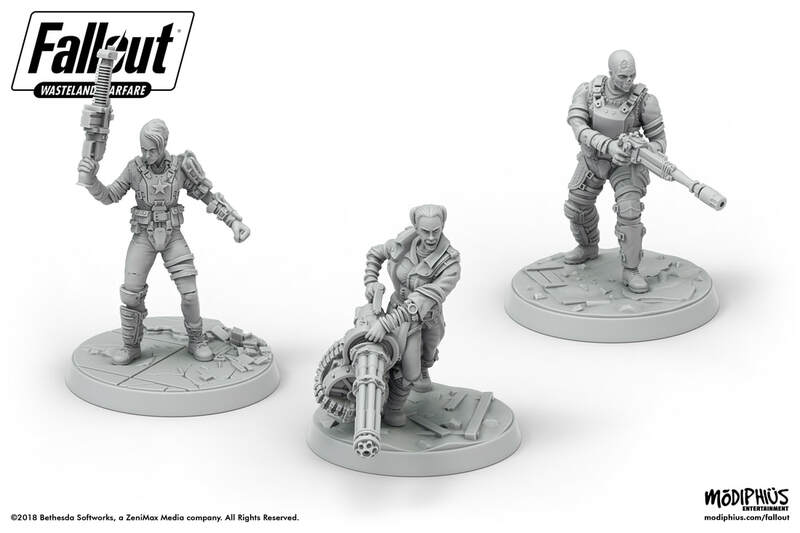 Whilst you're preparing for Wave 1 to arrive (latest update at the end of this blog) we thought you'd like a proper look at the Raiders faction who are coming in Wave 2. You can click on each of the images to get a close up. We start with the Raiders Core Box, everything you need to get started with the Raiders. 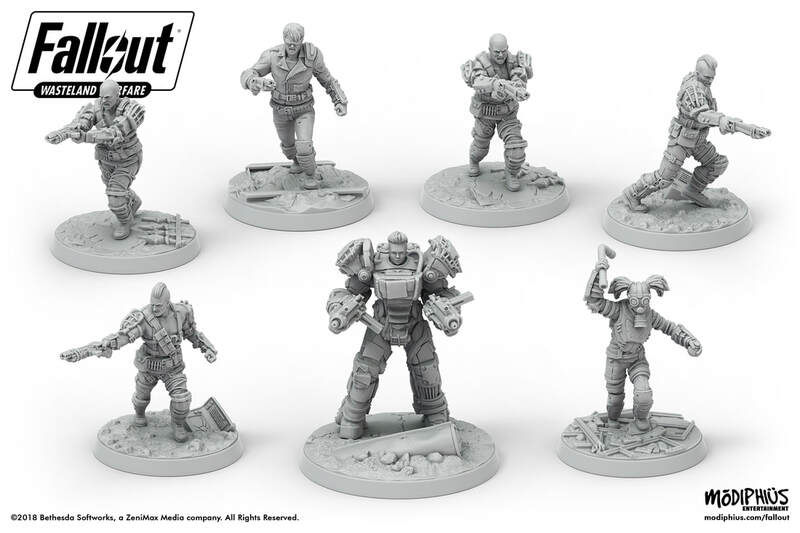 This includes a Veteran boss in Raider power armor, 2 Raiders, 2 Scavvers and 2 Psychos plus all the unit of course. The Raiders expansion will let you grow your little gang with another 2 Raiders, 2 Scavvers and 2 Psychos with new poses to add variety. Finally the Raiders get their very own leaders with Ack Ack, Sinjin and Avery - but who are you going to have leading your gang? Finally we thought you'd like a look at the military themed Terrain set for Wave 2 below, which features the crashed Vertibird and military barricades plus new turrets. If you look closely you'll see two of the turrets and manned versions and we expect you'll be able to set them up where needed!